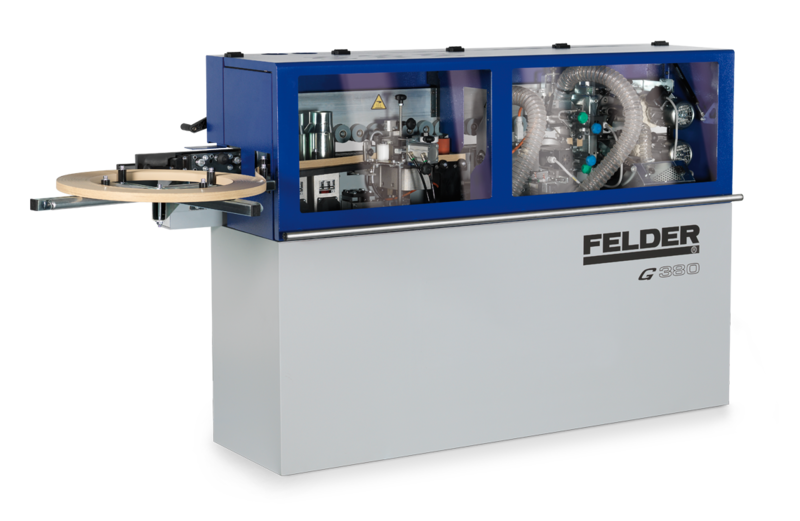 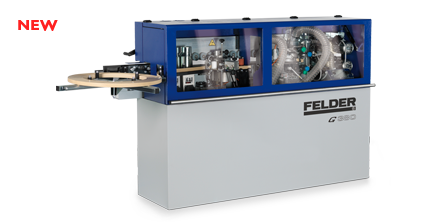 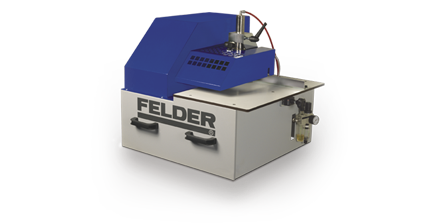 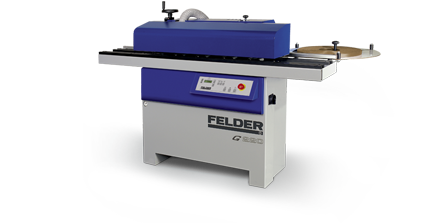 The new Felder edgebander G380 with its extended end trimming unit with radius trimming offers the highest flexibility in the compact edgebander. 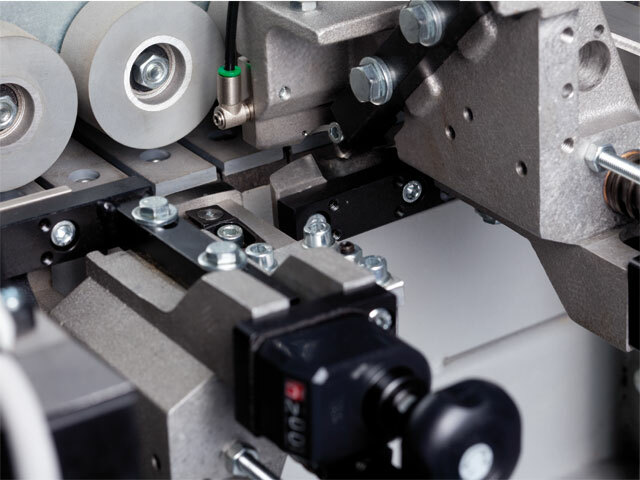 Individual configuration with two finishing unit spaces and extensive all-round equipment in a compact design meet the highest quality standards on the smallest footprint. 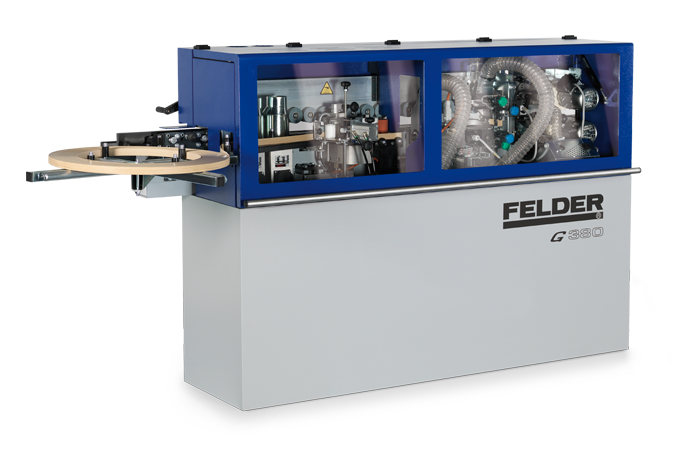 At a length of 2800 millimeters, the G 380 processes coiled material from 0.4 to 5 mm on panels of 10 to 45 mm in height. 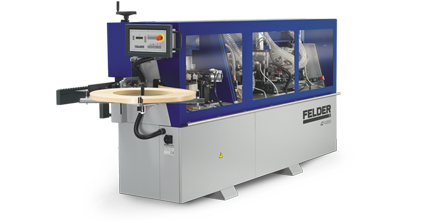 The 5mm package enables the processing of solid wood edge strips in single feed which increases the flexibility when processing. 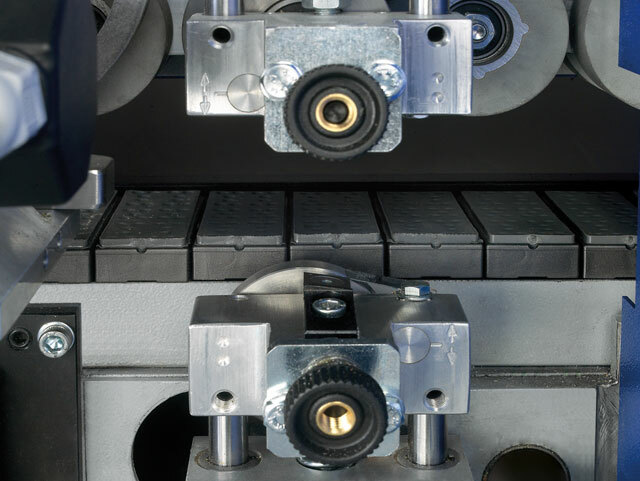 The extendable frame makes for optimum support with wide workpieces. 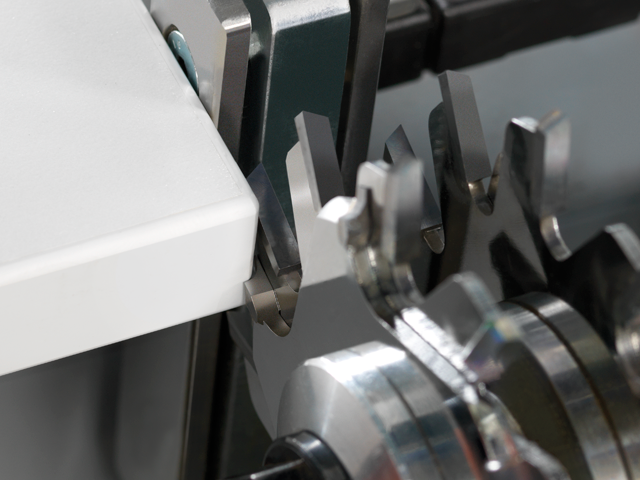 The G 380 is controlled via an user-friendly front control panel with LCD display. 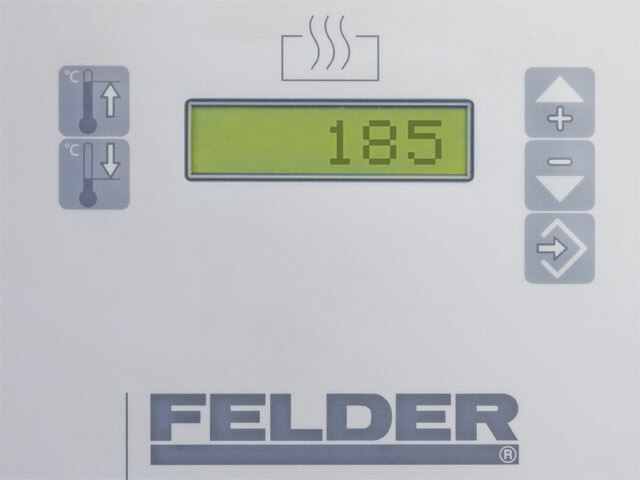 The units can be activated individually and the temperature can be adjusted." 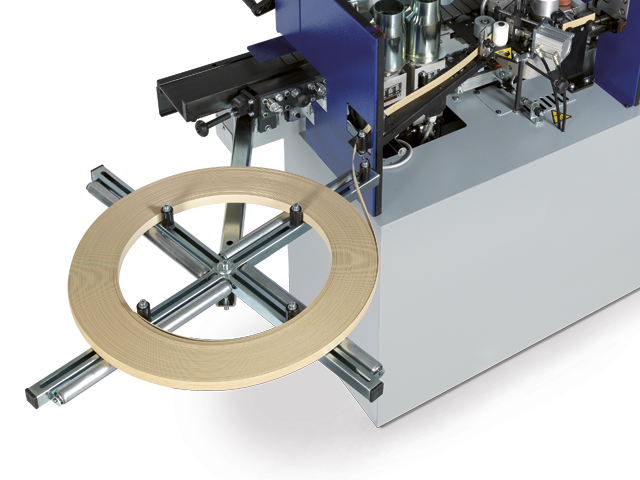 Coiled materials of 0.4-3mm in thickness and solid wood edge strips of 5mm thickness can be processed in single feed with 14 to 50mm edge height. 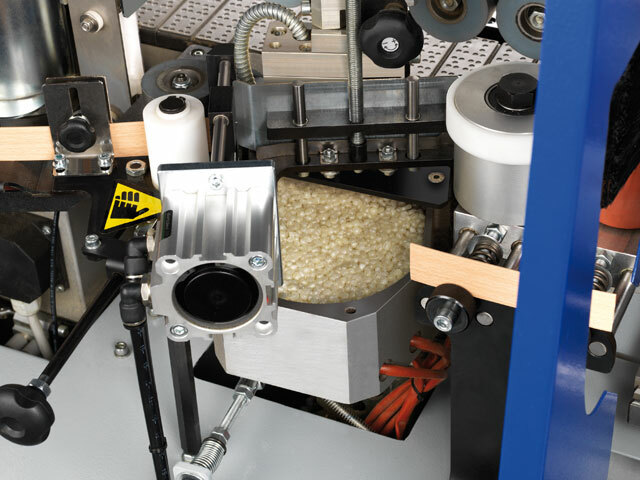 The processing of strip materials is possible in single feed. 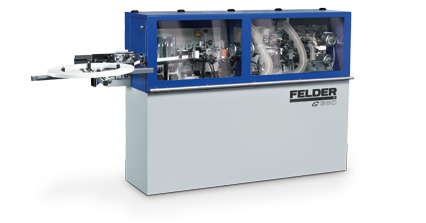 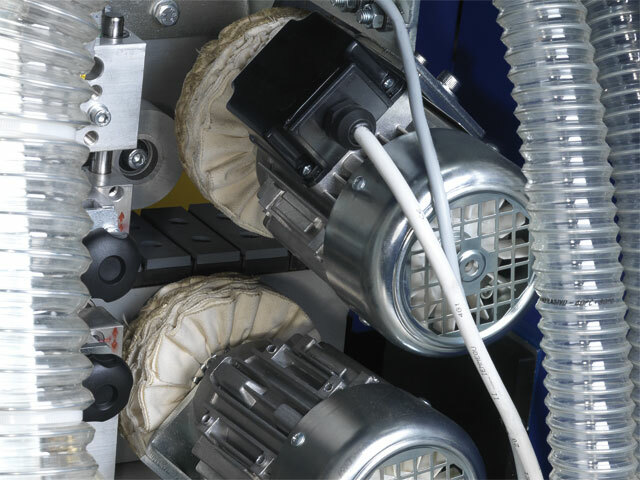 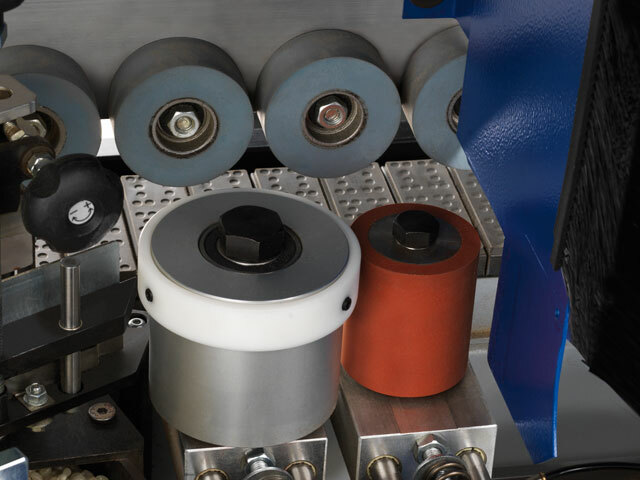 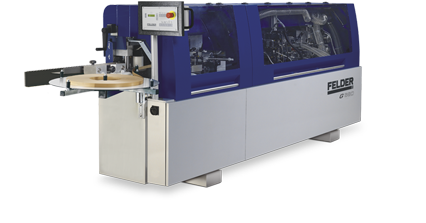 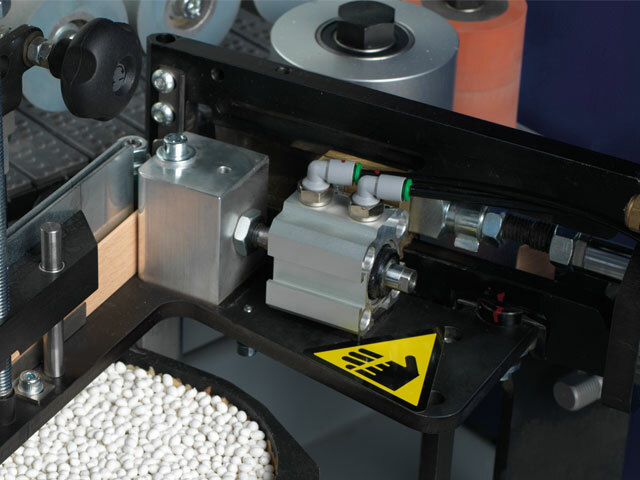 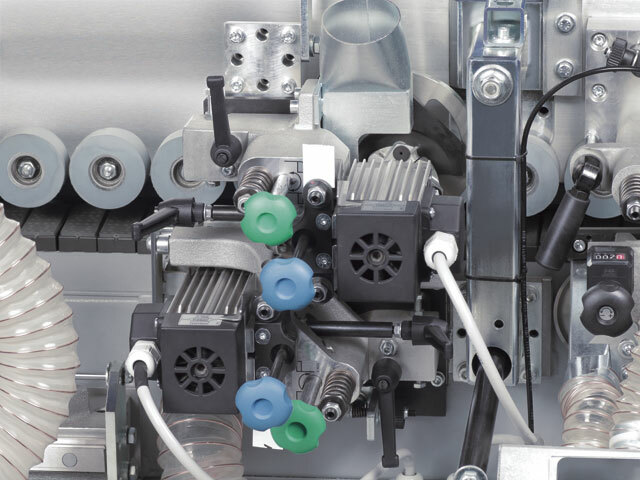 The synchronised, mechanical edge feed ensures an optimal feed of the material. 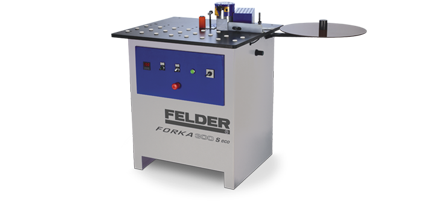 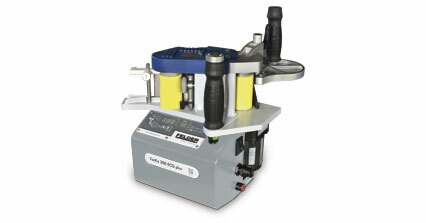 End trimming unit with high precision linear guide ensures perfect cuts. 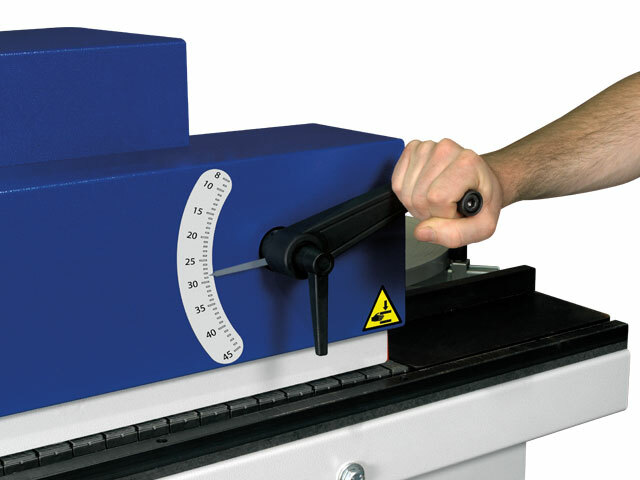 The saw blades rotate at 12.000 rpm with a 0.22 kW motor and stand guarantor for perfect cutting results of superior quality and quality for any challenge. 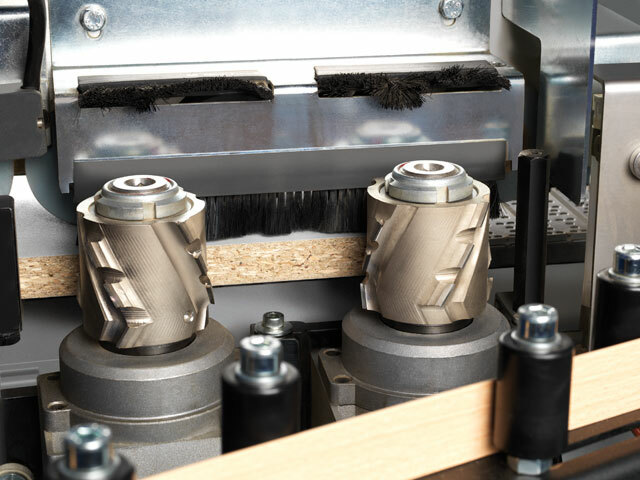 With coiled material up to 2mm, a radius trimming can be made and thus allowing for individual application. 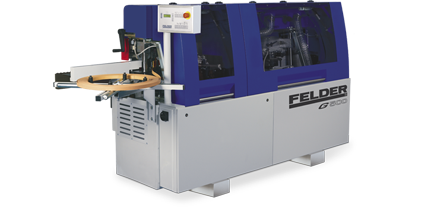 The selection for flush or radius trimming is done conveniently via the control panel.